The products in question have the UPC number 840243110087 and are labeled with the expiration “exp 110417” on the shrink wrap. 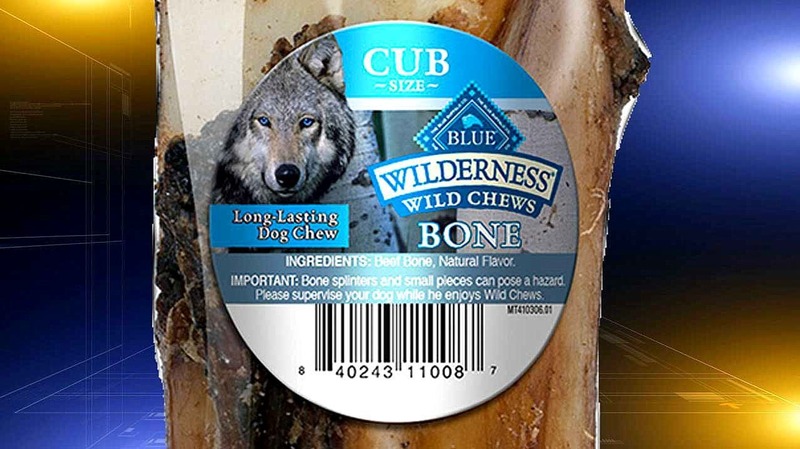 Blue Buffalo has issued a voluntary recall on a batch of Cub Size Wilderness Wild Chews Bones because of a potential Salmonella contamination. 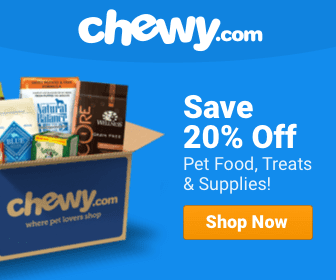 The lot was distributed to PetSmart stores in California, Kansas, Michigan, Minnesota, Montana, Nevada, Oregon, Utah and Washington beginning on November 19th. “Consumers should look at the UPC Code and expiration date on the product package to determine if it is subject to the voluntary recall,” Blue Buffalo said in a press statement. Routine testing at the manufacturing plant determined an unspecified amount of Salmonella in a sample. No other Blue Buffalo products appear to have been affected, and no illnesses have been reported as of yet. Symptoms include fever, abdominal cramping, nausea, vomiting, diarrhea, dehydration, lethargy and shock. These symptoms may also be found in humans and cats. Failure to treat salmonellosis can lead to gastroenteritis, spontaneous abortions in pregnant dogs, and septicemia. However, many dogs are asymptomatic carriers, and may shed salmonella for up to 100 days after becoming infected. This may put your family at risk, and it is advisable to have your dogs tested by a veterinarian if they have come into contact with the food, even if they do not display symptoms. Thoroughly wash hands after handling a possibly tainted treat. Also wash floors, carpeting, food dishes, bedding, and pets themselves if they have been given one of these bones. Consumers are urged to return recalled products to the store where they were purchased for a refund. For more information, they may call Blue Buffalo at 1-888-641-9736 or email them at [email protected]. 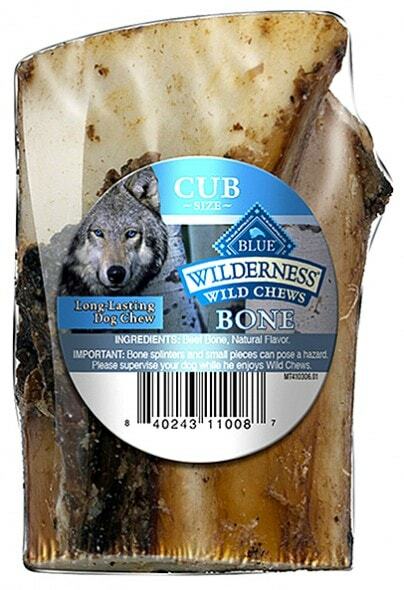 Earlier this year my two ACDs became deathly ill from eating Blue Buffalo Wilderness kibble. Their brand is no better than some of that crappy dog food made in China and costs twice as much. THis is why I think their bologna commercials are ridiculous! They are always on the recall list! They are not a terrible company and are not “always” on the recall list. When they do recall things it is a voluntary recall meaning they did it before any pets got sick unlike most of the companies out there. My dog had diarrhea issues the entire time she was on Blue Buff food. As soon as the vet put her on Hill’s digestive tract kibble she did a complete turnaround. Unfortunately, it isn’t only just this brand…. They were okay until Purina bought them.